Incorporated on May 10, 1965, with only 500 residences, Lyndon is a fourth-class city in Jefferson County, Kentucky. It now has a population of over 11,000; evidence of its recent rapid growth. In 2003 Lyndon became part of the new Louisville Metro government. 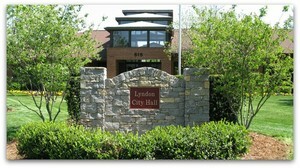 Lyndon remains an independent city with its own emergency services and mayor. Central State Hospital is also located in Lyndon. There are 500+ businesses in Lyndon which make up the very active business association. They range from small home-operated businesses to the International Air Headquarters of UPS. Lyndon prides itself on the 17 acre Robison Park with walking paths and playgrounds for all to use. The Louisville Economic Chamber of Commerce works with the city throughout the year particularly on special events such as "Light Up Lyndon" for the holidays and the Lyndon Summer Festival.